Employment taxes are notoriously difficult to navigate. What makes the topic so complex is that it has two distinct yet related parts: employee and employer taxes. To simplify things, many employers entrust their employment tax responsibilities to a payroll provider. While this is a great idea, it’s still important for employers to know at least the basics of employment taxes. 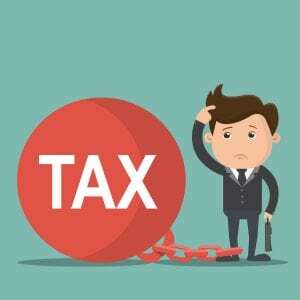 In this tutorial, you will learn how to withhold employee taxes, how to determine your own share of taxes, and how to pay and report both types of taxes. Withhold federal income tax based on the employee’s taxable wages, the withholding conditions the employee claims on his or her Form W-4, and the withholding tax tables in IRS Publication 15. Do not withhold federal income tax if the employee claims “Exempt” on his or her W-4. Withhold Social Security tax at the required percentage for the year, up to the annual taxable wage limit. For 2018, the rate is 6.2 percent, up to $128,400 of each employee’s annual taxable wages. Withhold Medicare tax from all taxable wages at the required percentage for the year. For 2018, the rate is 1.45 percent of each employee’s total taxable wages. There’s also an additional Medicare tax of 0.9 percent on employees’ wages that exceed a certain limit. Most states require that employers withhold state income tax from employees’ taxable wages. If your state does not impose an income tax on wages, do not withhold it from your employees’ paychecks. Some local governments require local tax withholding. Local taxes typically come in the form of city or county taxes. New York City, for example, imposes personal income tax on wage earners who live in New York City. Three states (New Jersey, Alaska, and Pennsylvania) mandate that employers withhold state unemployment tax from employees’ wages. Depending on your state, other forms of withholding may be required. For instance, employers in California must also withhold state disability insurance from employees’ taxable wages. Employers must pay their own share of Social Security tax and Medicare tax. For 2018, employers contribute the same percentage their employees for both of those taxes with the exception of the additional Medicare tax for high earners. Employers must pay federal unemployment (FUTA) tax at the required annual rate. For 2018, the FUTA rate is 6 percent of the first $7,000 paid to each employee. If eligible, you can take a credit of 5.4 percent against your FUTA tax, which drops the rate to 0.6 percent. Unless you operate in a FUTA credit reduction state. Employers must pay state unemployment tax, according to the rate set by the administering state agency. Generally, this rate is based on your industry, how long your business has been established, and the number of unemployment claims drawn on your account. While most employers do not have to pay any other state-related employment taxes, a few do. For instance, employers in California must pay an employment training tax. Also, most employers do not have to pay local taxes, but there are exceptions. Oregon, for example, imposes a transit tax on employers who pay wages for services performed in certain districts. Employers must pay and report federal taxes withheld from employees’ wages plus their own federal taxes to the Internal Revenue Service, according to the agency’s instructions. Employers must pay and report state taxes withheld from employees’ wages plus their own state taxes to the designated administering agency. Local taxes must be paid and reported to the local taxation agency. Your state revenue agency can tell you which state and local employment taxes apply to your business and how to pay and report those taxes.